Finding fish that can live with your betta can often be difficult. Ideally, you’re going to want fish that aren’t aggressive but also stay out of your bettas way. And that’s why putting a plecostomus and betta together can be a great choice! 1 Can A Plecostomus And Betta Live Together? 10 What Temperament Do Plecos Have? Before learning more about plecostomus’ it’s important to make sure that they’re going to make good tank mates. And there are a number of reasons you should consider them. And one that may make you want to avoid them. One of the reasons why plecos make such good tank mates for bettas is the fact they’re bottom dwellers. Bettas spend most of their time swimming near the top of the tank or midway, which means they’ll never naturally be in each others territory. One of the reasons bettas can become aggressive is because other fish are in their space. So this is going to be one less thing to worry about with plecos. A bettas diet is mostly carnivorous while plecos are herbivores. They both have their leeway and given the chance, they’ll both eat anything. But on the whole, they’re going to avoid each other’s food. Because of this, you won’t have to worry about them competing or becoming aggressive towards each other because of food. One of the biggest things to watch out for when introducing tank mates for your betta is that they’re not going to trigger his aggression. If a fish is brightly colored or has long flowing fins then your betta will attack. Any fish that looks similar to them in this regard is seen as a male threat. And as you know, bettas are called Siamese fighting fish for a reason. And lastly, plecos are extremely peaceful by nature. The only time you’ll see them being aggressive is if they’re in a tank with other plecos. When they’re all trying to mark a territory they will be mildly aggressive towards each other. But that should only happen once or twice and then they’ll go back to being peaceful. There is one downside that you need to consider if you’re planning on buying plecos. They can grow to be very big fish. If you’re planning on buying a pleco, depending on the species, you’re going to need a big tank. It’s not uncommon to see a lot of plecos in a minimum tank size of 55 gallons. And when they’re not growing big, they still need a lot of space to swim around in. Depending on the species of pleco you choose the minimum tank size you’ll need is 15 gallons, however, this can quickly go up with the bigger plecos. There are over 150 different types of plecos that you can choose to add to your aquarium. So there’s no one size fits all guide to keeping bettas with plecos. However, here are some of the most commonly used aquarium plecos. Any of these will go well with your betta. Just make sure you’re giving them enough space to swim and live in. Bristlenose plecos are the standard pleco that people tend to buy. They’re good-natured, easy to maintain and get along with every other fish in the tank. One of the best reasons Bristlenose plecos are going to make good tank mates is because they’re quite shy. They’ll do whatever they can to keep out of your bettas way, so you won’t have to worry about aggression. Most of the time you’ll notice them foraging for food around the tank. However, this is more likely to happen at night when they’re more active. If you’re going to keep a bristle nose pleco in your tank then you should make sure your tank is at least 25 gallons. Because they can grow up to 6″ in length, so they’ll need plenty of room to swim around. If well looked after, you can expect your pleco to live up to 12 years, however, it’s not uncommon for them to only live to 5. Bristlenose plecos also need a pH and temperature that is similar to bettas. As long as you keep the pH as close to 7 as possible and the temperature as close to 78°F as possible you’re going to be fine. This is a bettas ideal temperature and pH. If you’re interested bristle nose plecos can survive in a pH between 6.5-7.5 and a temperature between 60-80°F. 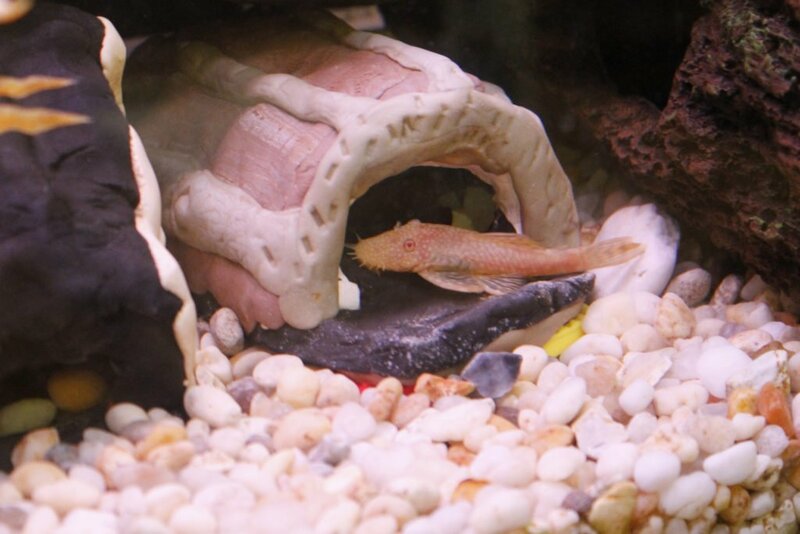 If the thought of a bristlenose pleco living up to 12 years worries you, then there are other plecos that aren’t going to be as much of a commitment. A clown pleco typically lives for 4-6 years, which is also generally the amount of time a healthy betta can live for. Just like bristlenose plecos, clown plecos are also hardy fish, and once they’re settled into the tank they can generally be left alone for the most part. On top of this, they’re also very docile fish and won’t cause your betta any problems. If you’re going to keep more than one clown pleco in a tank then you need to make sure you give them enough room to spread out and forage. Clown Plecos can grow up to 4.5″ which is a little bit smaller than bristlenose plecos. Because of this, it’s okay to keep one in a 20-gallon tank with your betta. However, if you plan on adding more than one then you should buy a larger tank. While the temperature and pH needs of clown plecos are a little bit more strict, it’s still nothing to worry about. And as long as your keeping the tank conditions good for your betta, then clown plecos won’t have a problem. Clown plecos enjoy a pH level between 6.8 – 7.6 and a temperature between 73-82°F. So just keep the pH at 7 and the temperature at 78°F for the benefit of both fish. If you don’t like the look of clown plecos or bristlenose plecos then why not try a bulldog pleco. Don’t let the name intimidate you, just like the vast majority of plecos, bulldog plecos are also docile and peaceful. They will spend most of their time in the tank keeping themselves to themselves. While they are happy to spend most of their time eating algae and other vegetation, bulldog plecos are also omnivores. So it’s important that you add live food every once and while into the tank to make sure they’re getting their required nutrients. Also, you should be aware that bulldog plecos need highly oxygenated water to thrive. If the current in your tank isn’t strong enough (which is often the case in betta tanks) then you should think about adding an air bubbler or two into the tank. As well as this by keeping the tank highly planted, you’re also going to increase how much oxygen is in the water. And as a side effect, the dead plant matter, that will accumulate in the substrate is going to be the perfect snack for bulldog plecos as well! Bulldog plecos are one of the larger plecos on this list. If you look after them they can grow 6″ in size. Because of their large size and the fact they need a lot of space to forage you shouldn’t put a bulldog pleco in a tank smaller than 45 gallons. And if you want a bulldog pleco, it’s no small commitment. Typically they can live up to 12 years. A bulldog pleco needs a pH between 6.5-7.4 and a temperature between 72-80°F. Zebra plecos are extremely interesting plecos, and it’s mainly due to their color. Unlike most plecos which are normally brown in color, zebra plecos have the same pattern as zebras. They are also one of the more expensive plecos on the list, because of their fantastic coloring. 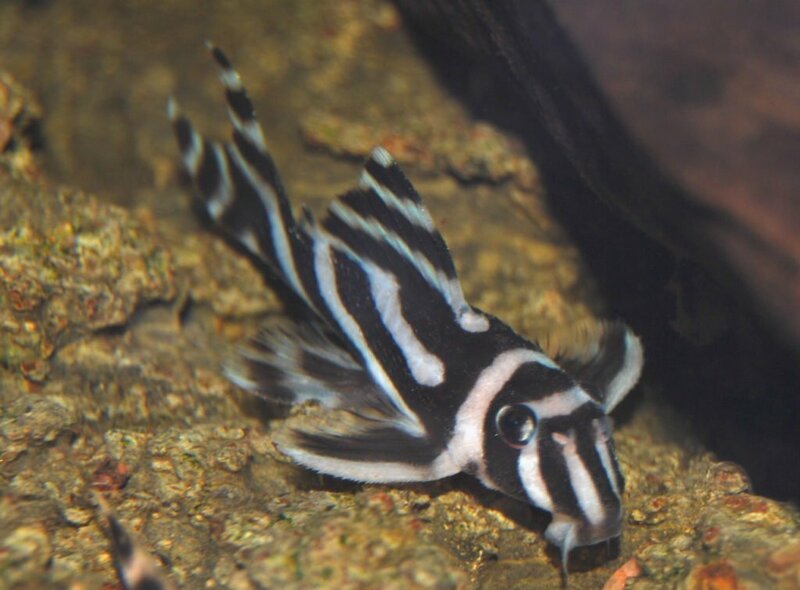 If you’re worried about the price, then you’ll be pleased to know that zebra plecos are hardy fish and can survive in a lot of different water conditions. Just make sure that the tank is well planted with plenty of spaces for them to hide in. Also, if you have a community tank, then don’t place zebra plecos with other bottom dwellers that are fast or aggressive. Because when it comes to eating food off the substrate, they can rarely compete with other tank mates that are faster than them or more aggressive. Where zebra plecos really shine is their small size. They will only grow 3-4″ in size. Because of this a tank as small as 15 gallons can house them happily! Once they’re in your tank, just like your betta you can expect them to live for 3-5 years. Like bulldog plecos, make sure the water in your tank is highly oxygenated for your zebra pleco, as this is what they’re used too in the wild. Bettas and zebra plecos both prefer a pH that is more acidic than alkaline. A zebra pleco can survive in a pH between 6-7.5, but if you have to lean one way, go more acidic as that’s also what bettas prefer. When it comes to the temperature you’re going to have to be more precise. A zebra pleco likes a temperature between 79-86°F, bettas ideally like 78°F, however, as long as the range is between 76-80°F they will be happy. So as long as you can keep the temperature in your tank at 80°F then both fish are going to be happy. Don’t confuse rubberlip plecos with rubbernose plecos because they’re two different fish, however, their needs are fairly similar! One of the most important things you can do is not confuse rubberlip plecos with rubber plecos. (Even pet stores do this.) Rubberlip plecos are only going to grow about 4 inches in size and will be comfortable in a tank that is 20 gallons or larger. However, rubbernose plecos grow up to 7 inches, and in some cases need a tank as large as 75 gallons. So just be sure you’re buying the right fish in the pet store. Apart from that though, they’re easy fish to keep and as long as you’re giving them enough vegetation they’re going to live happily and peacefully in your tank. When you buy a rubberlip pleco you can expect them to live for 12 years if you take good care of them. Rubberlip plecos like a pH between 6.5-8. Temperature wise, however, they’re the opposite of zebra plecos. While zebra plecos prefer a temperature on the warmer end of what bettas like, rubberlip plecos prefer one on the cooler side. A temperature between 71-78°F is ideal for rubberlip plecos. However, make sure that the temperature doesn’t drop below 76°F for your bettas sake. Last, is the pit-bull pleco. This is one of the smaller plecos on the list and it’s only going to grow about 3″ in size which makes it great for a betta tank or small community tank. If you want to keep a pit-bull pleco, make sure you have at least a 20-gallon tank. Even though they’re small, they still like having a lot of room to swim around in and forage. And if you’re planning to keep a group of pitbull plecos then you’re going to need an even larger tank. Pitbull plecos are herbivores just like most plecos, however, on occasion, they will enjoy eating blood worms as well. One thing you should be aware of about pit-bull plecos is their preference for sand substrates. I personally prefer sand substrate for any bottom-feeding fish, but pitbull plecos actually burrow into sand when they’re scared. This is going to be a lot harder to do with gravel substrate and could even end up doing more damage to them. If you’re going to use gravel substrate make sure it’s rounded and not sharp at all. With good care, you can expect a pit-bull pleco to live for 3-5 years. As long as you keep your pH at 7 your betta and pit-bull pleco are going to be happy. However, if you ever house a pitbull pleco on its own it can survive in a pH between 6.4-7.5. Temperature wise you’re going to need the temperature of the tank between 76-78°F. Pitbull plecos like a temperature between 68-78°F. The coldest tank a betta can survive in is 76°F. What Temperament Do Plecos Have? One of the first things you’ll notice about plecos is how peaceful they are. The vast majority of them are extremely docile and will keep themselves to themselves when possible. They are going to be more shy and timid in the day time as well. Plecos are naturally nocturnal, so if you don’t see them in your tank, it’s because they’re hiding in plants or beneath something. But when they are active they are like algae eating machines. You’ll notice them moving along the bottom of your tank as well as sticking to the sides. Even though all plecos are different, for the most part, they all require the same habitat. Because of their shy and docile nature, it’s important that they have lots of places to hide. In your aquarium, you’re going to want an abundance of plants, rocks, driftwood, and places they can hide. Doing this is going to make them feel more at home and your betta is going to love it as well. When planting your tank make sure you’re using hardy plants. Because a plecos diet consists mainly of plants, it’s not uncommon for them to start eating plants in your tank. Some good plants you should consider are java moss, java ferns, and hornwort. All of them are hardy and are more than capable of surviving any snacking your plecos may do. Also, make sure that there’s a current flowing near the bottom of your tank. It doesn’t need to be strong but having a current will mimic the river water plecos are used to. If you can’t do this make sure you’re using an air bubbler to oxygenate the water. A lot of plecos need well-oxygenated water to survive. When keeping a plecostomus and betta together, you’re going to need to feed them different types of food. You should stick to feeding your betta a variety of different meats and high nutrition pellets. However, plecos need something different. Luckily plecos will mainly live off the algae in your tank. If you’ve been growing it in abundance then that will be their meal most of the time. But it is important that you give them additional nutrition. Contrary to popular belief, they can’t just survive off algae alone. You should also be blanching and boiling vegetables to add to the tank for them. Vegetables like zucchinis, spinach, cucumber, and peas are all great choices. You should also drop sinking algae wafers every once in a while. This way you know they’re definitely getting enough food. And because they sink your betta won’t bother with them! Keeping a plecostomus and betta together often works perfectly fine. It’s always important to take into account the nature of your betta. If you know he’s aggressive then it’s always best to avoid adding any fish into the tank with him. 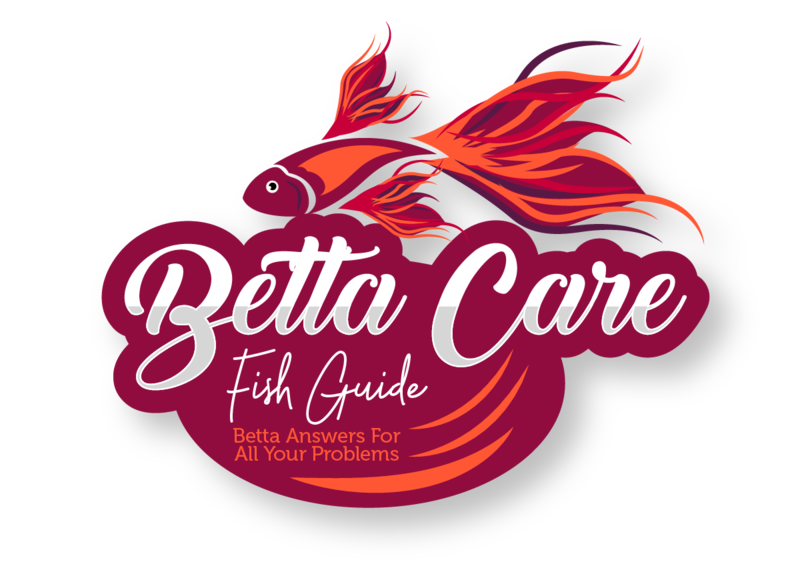 However, if you know your betta is calm then go ahead! Just make sure the water is well oxygenated, heavily planted and with lots of hiding places. Also, make sure you’re feeding both your pleco and betta the food they need. If you do all that they will both live happily in your tank!